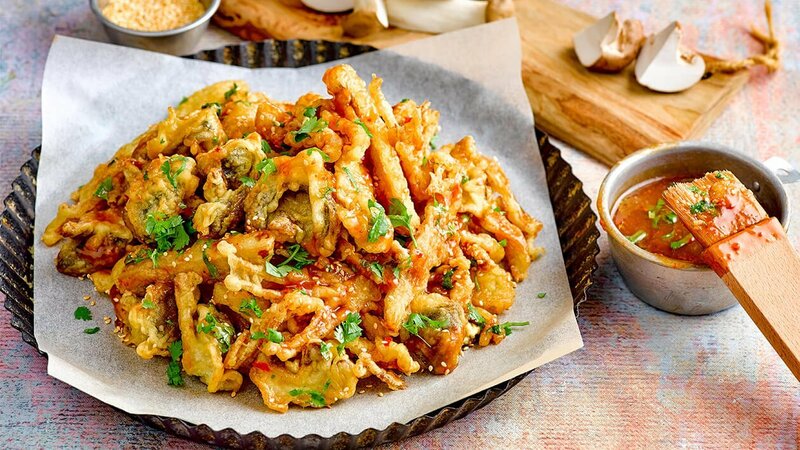 Three varieties of mushroom with one thing in common – a delicious sauce with a sweet-spicy-sour kick to savour this crunchy any-occasion appetiser. In a pot, add all the ingredients, bring to boil. Coat mushroom with corn flour. Coat mushrooms with batter mixture. Deep fry mushrooms till cooked and golden brown.